When choosing to buy a new Chromebook it’s important to think about how much memory you need for a Chromebook to run correctly. This all depends on what you’ll be using your Chromebook for now and in the future. Choosing the right amount of memory (RAM) is one of the most important choices you need to make when choosing your Chromebook. So let’s take a look at what memory is and how much you’ll need depending on how you’ll be using your Chromebook. Memory in a computer or Random Access Memory (RAM) is a chip inside your Chromebook. It’s called RAM because it’s memory that will be randomly accessed. 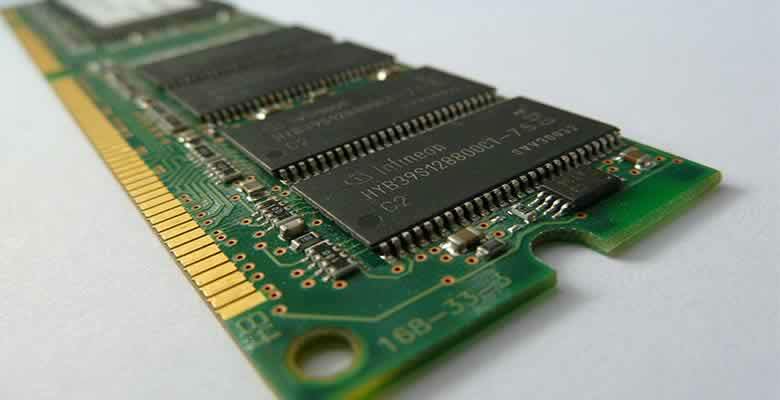 Random Access Memory can be used to store information at lightning fast speed. This is important because applications need to access information it previously stored in your RAM instantly. This is why RAM is stored on your computer as a chip. RAM is used to store and retrieve information without having any negative impact on your Chromebooks performance. The RAM in your Chromebook is used temporarily. When you start using applications the application will store information in your RAM. If you finish using an application, providing the application has been written correctly the information stored in your Chromebooks RAM will be removed. This is necessary because you may then go on to using other applications, which will also need to store and retrieve information from the RAM in your computer. When you turn your Chromebook off all of the information in your RAM will be removed. The memory in your Chromebook is used by all the software that will run on your computer. The operating system ‘Chrome OS’ will use RAM when booting up your Chromebook. The operating system will continue to use RAM while your Chromebook is in use. The amount of memory it will use depends on the tasks it’s performing. All other software you use when using your Chromebook will also use RAM to run correctly. Ensuring you have enough RAM to run all the software you will be using is important. If your computer begins to run out of RAM you will notice a dramatic impact on performance. If your Chromebook runs low on RAM it will start to perform much slower than you would normally expect. When a computer runs low on RAM it can become almost unusable. Luckily, this is not so obvious on a Chromebook as it may be on other types of computers you’ve used in the past. For example, say you bought a Chromebook with 2GB of RAM and ‘Chrome OS’ needed at least 1GB of RAM to run comfortably. This would mean your Chromebook would have 1GB of RAM available for any applications or websites that you choose to visit. If you open your browser and start surfing the internet this may take 300MB of RAM. There is 1,000MB in a GB, so this would leave you with 700MB. If you then started to use Google Docs to write an essay, this may take a further 300MB to run. This would then leave you with 400MB. If you then decided to open a spreadsheet using Google Sheets, but that spreadsheet contained huge amounts of data and needed 600MB to run. You would then run into problems because you only have 400MB of RAM available. This is a very simplistic look at how RAM is used because it’s never as black and white as that. Sometimes your computer will need more RAM for a number of reasons, if you’re low on RAM it to this extreme you would definitely run into problems with performance. At the moment memory for RAM is measured in GB (Gigabytes). The higher number of GB your Chromebook has the better it will perform. It depends on what you’ll be using your Chromebook for when deciding how much memory you need. If you’re just going to use your Chromebook to surf the web, then 2 GB is enough. You will also comfortably be able to use your Chromebook to word process and to use spreadsheets with 2GB of RAM. However, if you use spreadsheets with lots of data and formulas, then you may see that your Chromebook will start performing slowly. When choosing how much memory you need it’s important to consider the future. It’s best not to think about how much RAM you need now and think about how much RAM you may need going forward. Only choose a Chromebook with 2GB of RAM if you’re certain all you’ll be doing is web browsing and the occasional task such as word processing. When buying a new Chromebook it’s tempting to put the price before anything else, especially if you’re on a budget. However, when it comes to RAM you should always try to buy as much as you can afford. You may think that you’ll only ever use your Chromebook to browse the web, but this may change in the future and having that extra RAM gives you peace of mind. Also, some websites may use a lot of RAM to perform correctly. If you only read websites that contain text articles then you’ll be fine with 2GB. If websites you visit are rich in multimedia you may encounter performance problems. At the moment, if you want to buy a Chromebook that is future proof then you should consider buying a model that has at least 4GB of RAM. Luckily, the operating system used on Chromebooks ‘Chrome OS’ is very lightweight, so it uses very little RAM compared to other computers. However, you still need to consider the applications you will use with your Chromebook. Some of the latest higher spec models now have the ability to use Android Apps. This is great because it opens up your Chromebook to a whole new world of Android Apps. These apps may use a lot of RAM, so if you’re considering buying a Chromebook to use Android apps then you would definitely need 4GB of RAM. At the moment 4GB of RAM is considered the standard for a Chromebook. This is perfectly fine for people who want to surf the web, word process, number crunch on a spreadsheet. It’s also fine for anyone who would like to use the huge array of Android Apps currently available. If you buy a Chromebook with 4GB of RAM you should be able to use your Chromebook for most tasks. However, as mentioned earlier you should always try to buy as much RAM as possible. So if the Chromebook you have your eye on comes with more than 4GB, and you can afford it, opt for the Chromebook that has the highest amount of RAM. If you want to ensure your Chromebook will be able to use any new application available for the next five years. Then you should be looking for a Chromebook with 8GB of RAM. This is more than enough memory to cope with what’s on offer now and what will be on offer in the future. 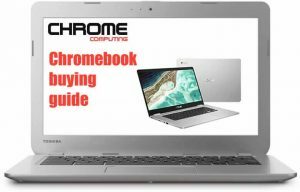 The processor your Chromebook uses is also important for performance, find out more by reading What processor should I be looking for when buying a Chromebook.